Take a second to imagine waking up to natural daylight flooding in from the roof of your estate in the 90210 or the heart of Manhattan. Seems like a dream, right? Well, for some of our favorite celebrities, it's their reality. That's right, iconic favorites like Meryl Streep and Taylor Swift love fresh air and daylight just as much as we do - and we couldn't be any more excited about that! VELUX is bringing you an exclusive inside look into your favorite A-Listers' cozy retreats, getaways, estates, mansions, and resorts... And the best part is that they all feature extraordinary architectural skylight pieces that we have to share. What better way to enter the Acting Queen's home than with daylight flourishing the foyer? Not only is Meryl an absolute mastermind on the screen, but she apparently has some great interior design taste, too! Well, done Meryl! If there was an Academy Award for Best Foyer With a Skylight, you'd definitely win. The Nashville country girl has become a full blown pop star icon over the past decade, so it's no shock that she has EIGHT homes to house her 10 Grammys. Our favorite is her $18 million Tribeca Townhouse in NYC. 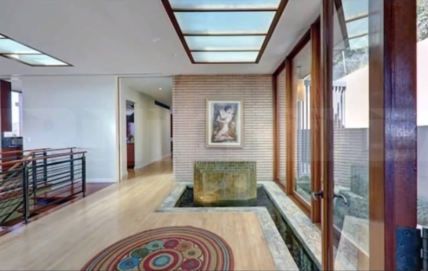 With her skylight living room and other amazing features (limestone heated floors, anyone? ), we're pretty jealous we can't live here... But we'll just have to shake it off. When you've got a career as successful as Eva's, you'll want to flaunt it! 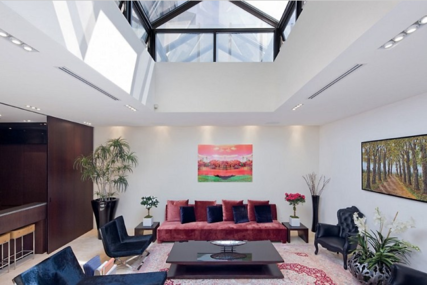 This massive center skylight is a great way to open up the entire house. It also provides the perfect opportunity to catch some stars on a clear LA night. This 7x Wimbledon Champ is serving up some great interior design skills; with a passion for an outdoor sport like tennis, it's no wonder she wants to bring daylight into her home! 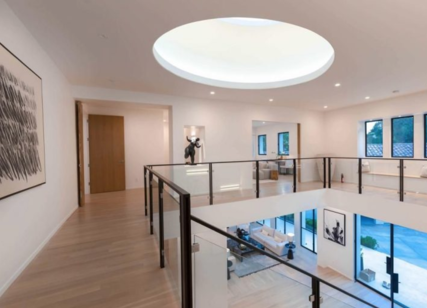 A lot like Eva's (but smaller), Serena's circular skylight hugs her hallway and provides just enough natural daylight she needs to get between rooms. No need for spidey senses in this living room. Toby's Brentwood home looks so comfortable - we absolutely love it! It's open, bright, and just gives off a welcoming vibe that will make you forget about any danger. We'd like to think that this is the house Peter Parker and Mary Jane would share together when he's not off saving the world. 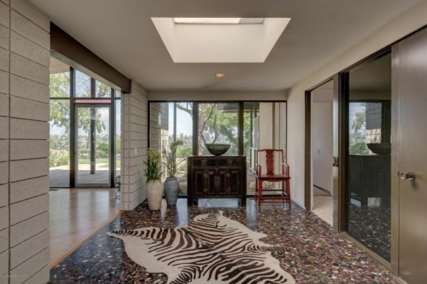 Hollywood's favorite heartthrob sold his former home in Hollywood Hills for $2.775 million, and featured some unique skylight fixtures in common areas and the bathroom. That's right, when Zac graduated from High School (Musical), he had a spectacular career takeoff and decided to move neighborhoods. We're just hoping his new house has some swanky skylights, too. 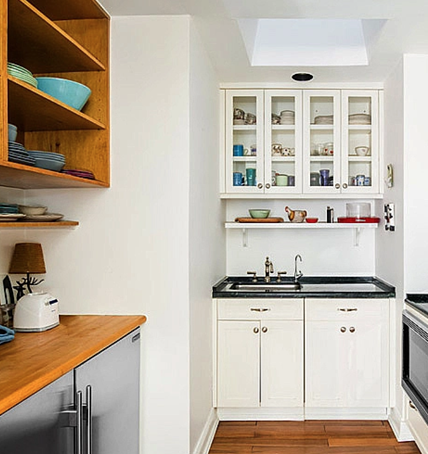 The Emmy winner and iconic comedian's NYC kitchen features a single skylight. This kitchen already seems cozy and quaint, so we'd like to think Amy installed the skylight to open the room up a bit. Or maybe she wanted some fresh air. Whatever the reason, we give her our solid stamp of approval. While not overly glamorous, this top-charting pop artist's home definitely seems cozy and spacious! While we are super happy to see that Ed is letting in daylight by installing skylights into his home, we have to say that the best part is the £6200 fan-made pug statue based on the artist himself (seen on the tile)... But maybe that's just us thinking out loud. Everyone's favorite vampire has a combined kitchen and dining area in Hollywood Hills that is brilliantly lit with two skylights. However, we can't get over the irony that his biggest role on the screen would literally die from the amount of sunlight those skylights bring in. The talkshow idol and American Executive's Orcas Island home is just one of her SIX houses and it will make anyone want to have a glamorous cabin getaway. 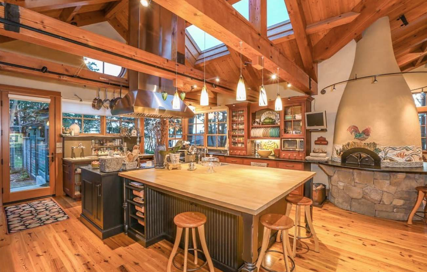 Her souped up kitchen is completed with skylights that bring continue to bring in daylight and fresh air from Northern Washington. Being a world-renowned singer and actress has got to call for some serious relaxation at home. 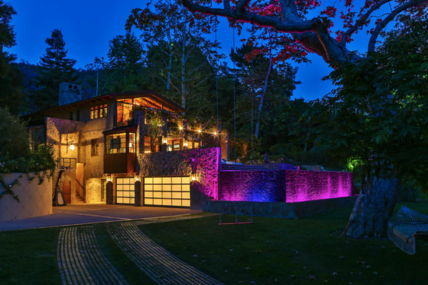 J Lo's Bel Air mansion has all kinds of cool features that we are super jealous of, including a stone-accented kitchen that's topped with skylights! We can only imagine what it must be like to prep and cooking meals in there. 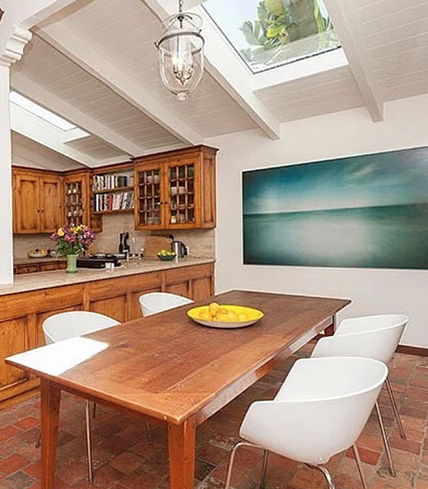 Arguably the most simple house on the list, this legendary actress' West Hollywood house has multiple skylights, ensuring that she has maximum daylight all throughout the home. 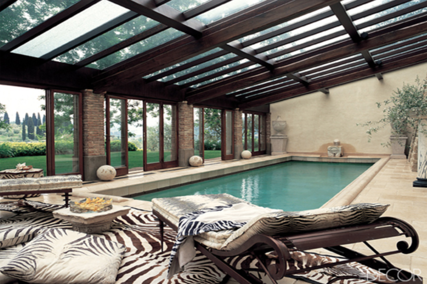 As a high-end Italian fashion designer, it only makes sense that Robert's indoor swimming pool reflects an incredibly bold and chic style; and what better than installing such magnificent skylights? We aren't surprised that Robert has an eye for remarkable interior design, but we're still in complete awe when looking at this room. Can you say semplicemente bellissima? (Italian: Just beautiful). We'll admit, we didn't recognize this billionaire's name at first - But the CEO of Energy Transfer Partners' Bootjack Ranch in Dallas, TX solidifies his reputation for us. Beside looking like a tropic oasis brought inside, this indoor pool area is finished with good number of jaw-dropping skylights. 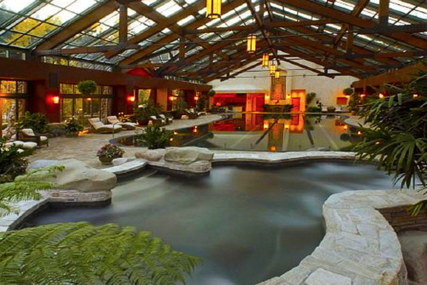 The American filmmaker and actor's NYC indoor swimming pool looks like the perfect getaway to us! 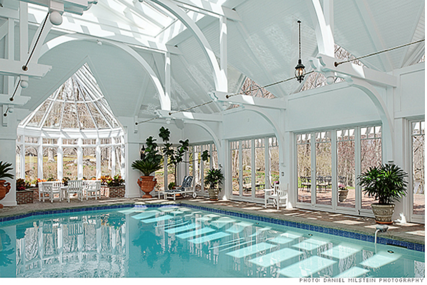 Its elegant interior is showcased by the daylight the floods in from the multiple skylights in the ceiling of the room. 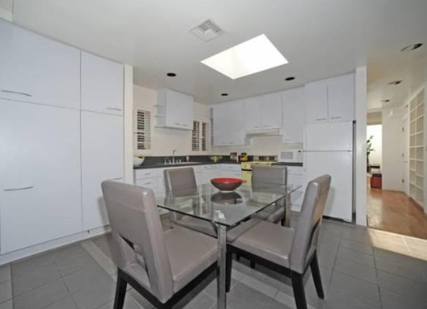 We cannot get over how spacious this Beverly Hills retreat's floor plan is! 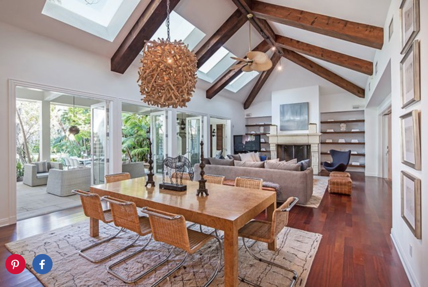 The skylights and vaulted ceiling give this room ample space, perfect for hosting any Hollywood party. 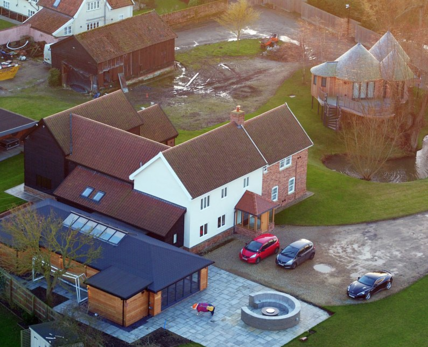 An incredible singer deserves an incredible home - and this is nothing short of it! 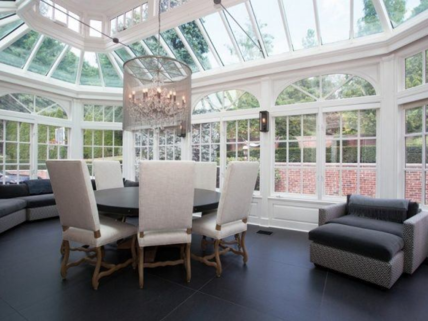 Besides this beautiful glass room covered in windows and skylights, this New Jersey compound offers a two-lane bowling alley, movie theatre, and recording studio (so Alicia can work from home, of course). No one deserves a more perfect (or well-lit) home! We are in love with all of these beautiful abodes, and we love that they all support the skylight industry! While these homes may seem like dream homes to many of us, go ahead and tell us which one you'd love live in. And after doing our research, many of these properties go on sale to public. So, who knows, maybe one these locations will be yours one day!